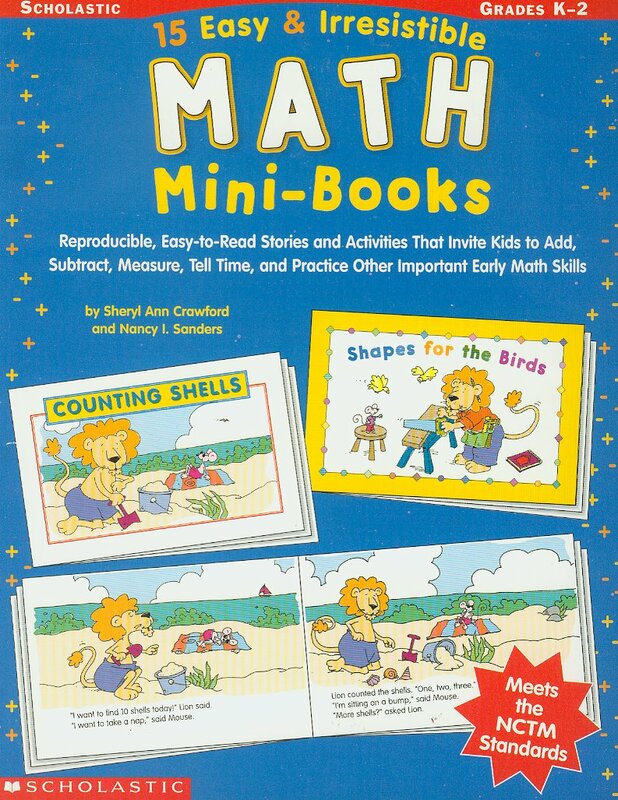 SHERRI TALES: Sheryl Ann Crawford, Children's Author: Mini-Books for Your child to Make---For School, Homeschoolers or At-Home Fun! Your books sound like so much fun and so creative, too! My granddaughter would certainly enjoy them. Hi Anita! I think Lion and Mouse make each little mini-book book enjoyable for children. Even in a book as short as 8-pages(kids make them) the characters have time to be endearing and funny--even charming (o; Nancy and I chuckled a LOT while writing this one. I gave my granddaughters this book. One is struggling a bit with math (as I did). She's using it at home for FUN and she's grasping early math concepts at the same time. You can get them for a good price through amazon. There are reproducibles so you are allowed to make copies of each book mini-book, and SHARE (((o; Thanks for checking in. These books sound like fun for little ones. Having a lion and mouse for the characters was an imaginative idea. Hi Janet (o; I think the fact that Lion and Mouse are opposites, makes it a cute character combination.